Stupid things to do to pass the time on a dull, wet day part 1. 223.070 was working ALX38708 south past Weinhausen, between Buchloe and Kaufbeuren, on 16 October 2010. 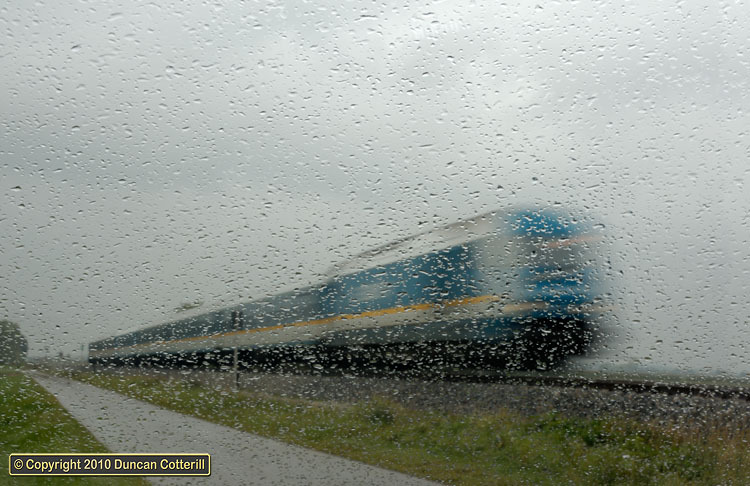 The train was photographed through the car windscreen using a shutter speed of 1/10sec and an aperture of f/29 to keep the water drops sharp.